Striped Woven Fabric with Swiss Lace insert. Classic Stripe Weave. Plain borders. 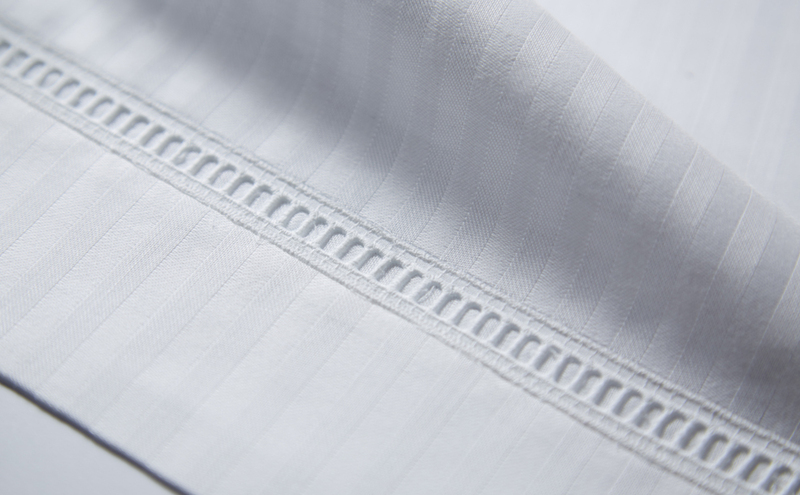 Luxurious soft to the touch with Swiss Lace insert 100% Cotton Satin. 220 Thread Count.